Frame Work of the Table is made of Rectangular & square tube. The bed has adjustable Back Rest on ratchet. 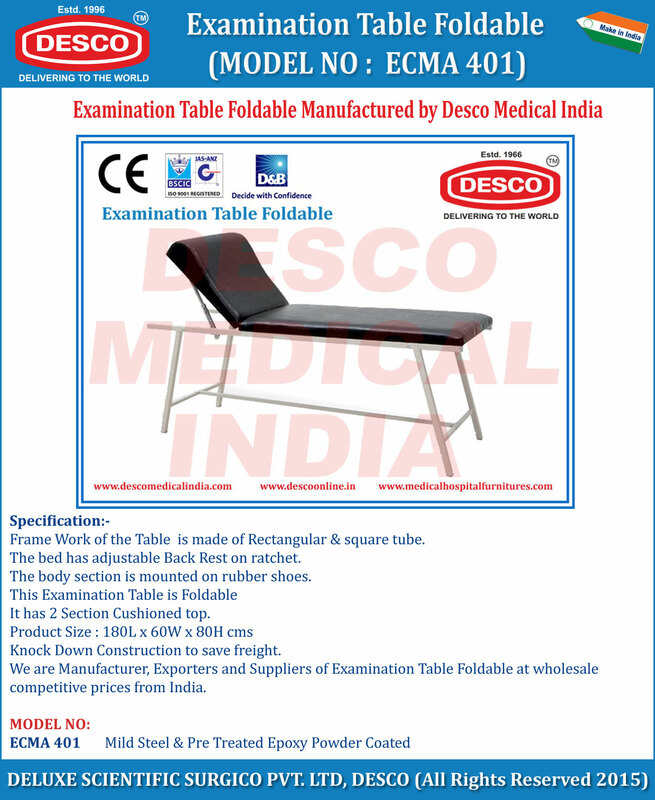 We are Manufacturer, Exporters and Suppliers of Examination Table Foldable at wholesale competitive prices from India.